We’re focused on your eye care! Don’t lose sight of what’s most important. Regular eye examinations will protect your vision in the years ahead. Our doctors can consult with you on everything from laser refractive surgery to indirect fundoscopy exams. 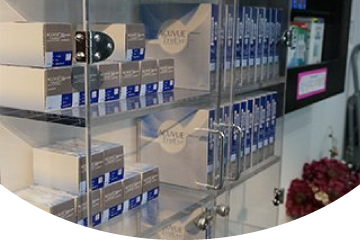 We dispense a variety of unique contact lenses to suit your lifestyle. Get fitted today. If you spend any time staring at a computer screen, you owe it to yourself to have your eyes examined on a regular basis. With 2 doctors to choose from, Bower Place Eye Center is able to accommodate families, seniors and new and returning patients alike. 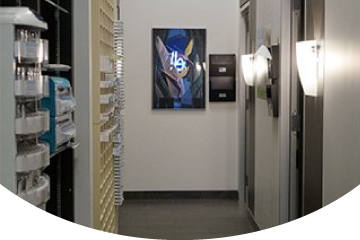 Visit our clinic at the Bower Place Shopping Centre in Red Deer for eye tests, eyewear, comprehensive ocular assessments and more! Don’t let your eyesight deteriorate! If you find yourself needing to rest your eyes with greater frequency, or you’re squinting to read, your body is trying to tell you something. 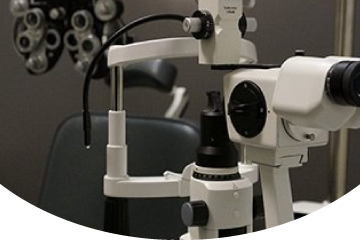 We have the doctors, diagnostic equipment and the processes in place to manage your ocular health. Even if your vision appears trouble-free, it’s wise to see the big picture and come in for a thorough exam. Our optometrists can detect issues you probably haven’t considered. We assist patients from 6 months onward. At Bower Place Eye Center, everyone is welcome! Are you looking for a contact lens solution? We have the doctors on-hand to answer your questions and get you set up with the ideal product for your circumstance. From eye drops to disposable lenses, we supply everything you need. Come in to make sure your prescription is up-to-date. Is there a doctor in the house? We have 2! Call, email or stop by today to book a consultation with any one of them. Remember, if you’re under 19 or over 65, the cost of your eye exam is covered through Alberta Health. If you can’t recall your last exam, you’re definitely overdue. If you’re a student heading back for a new semester in the fall, why not book an appointment in August to ensure your vision is prepared for the school year ahead? New patients and walk-ins are always welcome. Same day appointments are generally available. If you have any questions, or would prefer to book a time with a specific doctor, give us a call or send us a message to contact our staff today! Watery eyes may be an indication that you’re suffering from dry eye syndrome. #234 - 4900 Molly Bannister Dr.